"I worked with Rick on a premiere production of mine called, 'Storm Warning'. Rick directed this production and I found his work to be outstanding. Directing the first production of a play is a daunting task because there are no signposts left behind by those who have directed it before. The director of a premiere production must work very closely with the playwright, giving the playwright suggestions and insight into what is working and not working within the piece. And at the same time, the director must be certain that the playwright's vision comes to life on the stage. I found Rick's interaction with myself and the actors to be inspiring and thoughtful, and the quality of his work gave me a finished product I could be proud of." Rick also premiered Norm Foster's "The Great Kooshog Lake Hollis McCauley Fishing Derby". ...because my wife and I were so impressed with "Mary's Wedding" I wanted you to know how courageous we thought you were to put it on in a summer theatre (Bluewater Summer Playhouse), where I'm sure you have to do a fair amount of light stuff! It was so well acted, directed and designed and we really enjoyed our visit! You are the perfect actors' director. You think out loud which enables us to see exactly where you and we are going. You have a perfect eye and ear, a superb sense of every aspect of theatre. I have never worked with a more talented, tactful, skillful, and actor friendly director. You cast and then work with what you've got. You provided us with a perfectly safe environment in which we could do anything we wanted knowing we could trust you to keep us informed about what we did well and what we did not do so well. You are a dream to work with and you put together a dream team (both on and off stage). I thank you so much. I can't say enuff good things about you!! Rick, you have been an invaluable resource for me. Even after moving away, I continue to value your knowledge and experience and love to come back for lessons whenever I can. Your positivity and love for the work inspires me in every session. The passion and determination you have has greatly inspired the way I work. Thank you for all of your time whether it be hammering out notes or watching the same four lines of a monologue over and over. Your patience and knowledge has been integral to the actor and singer I am becoming. I look forward to working with you for years to come. Rick was a fantastic mentor while I was deciding to pursue a career in musical theatre. His positive, enthusiastic approach to teaching helped me build confidence while finding my voice. My daughter, Adrianna Di Liello has been working with Rick since the age of 9 with a focus on vocal and acting coaching. The training she receives from Rick has helped her feel confident in auditions and professional settings. 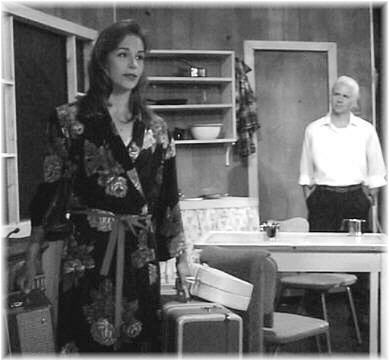 We are grateful to have had Rick mentor Adrianna through her early experiences on professional film and television sets. Rick's generous manner has helped nurture her creativity and her ability to take risks as a performer. He is a mentor as well as a coach and has helped Adrianna make choices in her very young career that have led to wonderful opportunities. Rick has been a trusted guide and teacher along her journey. Great gig last night with Fifth of Jazz! Thanks to guest vocalist Rick Kish for such a great job singing!!! One of the most engaging and skilled frontmen I've ever played with!